We specialize in all types of concrete construction, and steps and stoops are no exception. It’s important that all the steps in and around your home are sturdy and safe. Damaged, cracked, or chipped steps can be a serious hazard. If your Rockford steps and stoops are constructed by our experienced staff, you can be sure that they will be strong and durable. Steps and stoops can also add a great decorative touch to your patio or entrance way. We can use stamped concrete or brick pavers to give your Rockford steps and stoops a color or pattern that will complement your home’s architecture, or match other hardscaping features in your landscape design. Concrete steps can also be used in the interior of your home. They provide an economical alternative to steps made of other materials. 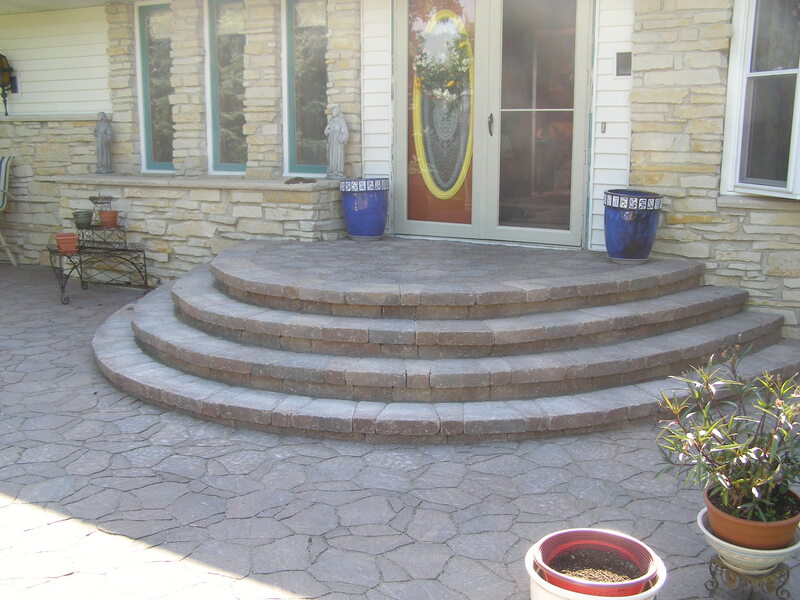 Contact us today to learn how concrete steps can be used to improve the inside and outside of your home.